Can’t wait for Civil Civic next album ? Yes it’s been a while since they released their debut album Rules in 2011. You will need to be a little more patient though … But we have good news ! The budding romance between the legendary D.I.Y. 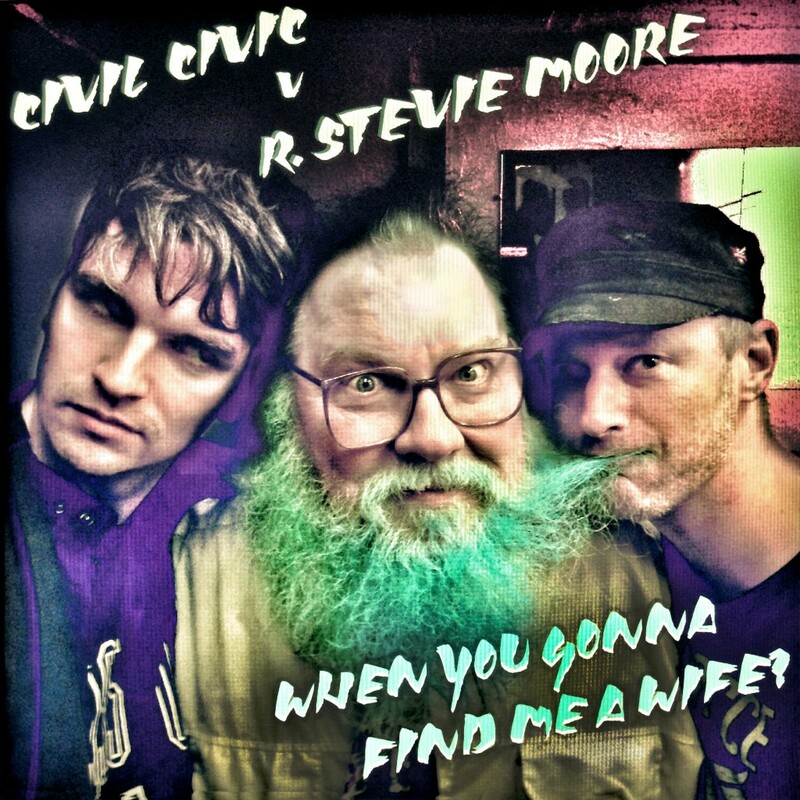 forefather R. Stevie Moore and post-everything artkickers Civil Civic has finally gotten physical and produced a beautiful baby. It will be released digitally on Remote Control Records on September 26th. “When You Gonna Find Me A Wife?” is the first collaboration for Civil Civic who have been working on their follow up to their much lauded debut LP ‘RULES’. It’s is not however the first collaboration for R Stevie who has collaborated with a slew of respectable artists including Ariel Pink, MGMT, Jad Fair, Jason Falkner and Mike Watt. With all the CC trademark melodic twists and hammering rhythms with the one and only R Stevie Moore on mic (demanding a glitzy wedding!) it’s a marriage that’s built for thrills, fast nights and possibly a very messy divorce plastered all over the tabloids.